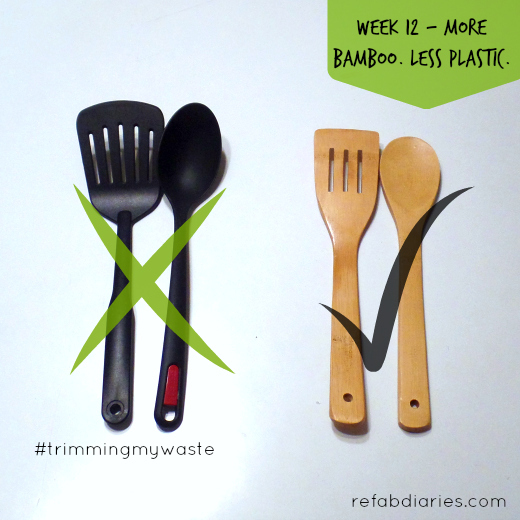 Unlike toothbrushes (read the post), kitchen utensils last a while. The black ones pictured above are at least 3 years old. And they'd last forever because, well, they're plastic (synonym for "durable"). But I can see that the edges actually connecting with hot pots and pans aren't pristine anymore. And that bothers me. I have no actual evidence that plastic is melting into my food in small amounts. But the thought was enough to prompt me to make this very affordable replacement this week.